Shaq is a fun prospect to watch on film. He is a little undersized for a linebacker, but shows unbelievable athleticism and football instincts. He is very good in coverage and could even be moved to a safety. A defensive coordinator will have fun scheming Thompson because he can do so many different things. 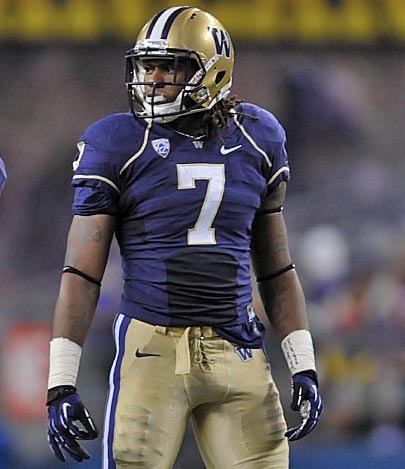 He even played running back this past year for Washington, his biggest game coming when he had 15 rushes for 174 yards along with a touchdown against Colorado. Thompson is a great athlete that I believe will be an instinctive off the line linebacker at the next level.